Few auto companies have had a bigger impact, both in technology and culture, than Porsche. The Porsche Effect is a new exhibit at LA's Petersen Automotive Museum that celebrates this legacy, via 50 of the most notable Porsches of all time. Highlights include one of just three 1939 Type 64 60K10s built — widely considered to be the start of their signature aesthetic — Steve McQueen's black 356 Speedster, an Arova-Porsche 212 Skibob from the early '70s, and the modern gas-hybrid 918, all accompanied by various artifacts and documents. The exhibit opens this weekend and will be on display through next January 29. Gyms can be intimidating places, especially if your body type is more gamer than athlete. Nerdstrong Gym is a new take on the typical gym, combining a love of geeky topics like Star Wars and Doctor Who with physical fitness. During workouts at this North Hollywood hangout, you'll find yourself doing push-ups to defeat a monster, or planks while you dodge the all-seeing Eye of Sauron. Cosplay is also acceptable, although you'll obviously have to mix your creativity with some gym-friendly materials, and thanks to the members' shared interests, it offers a sense of community you won't find at your neighborhood Gold's. The grandest store in the world is nothing without curation. It's exactly what makes Wittmore stand out in a fashion-obsessed town. Founded by industry vet Paul C Witt, this inviting store stocks offerings from the usual suspects, unexpected places, and emerging brands, with a focus on staples that won't be out of style in a matter of months. We visited their shop downtown at One Santa Fe, but there's also an outpost near The Grove if you happen to be in the neighborhood. Located in Downtown LA's Arts District, the new 3sixteen flagship store gives the brand's quality wares a space to shine. Essentials like jeans, shirts, and jackets are on display next to accessories like rings, candles, and colorful socks, and garments lucky enough to earn a space on the racks rest on the best-looking hangers we've ever seen. The simple aesthetic of white brick, concrete, and exposed natural wood creates a soothing space that gives each product — and more importantly, customer — a chance to breathe, and helps make this a must-stop if you're in the neighborhood. One of the rare stores that had an online presence before it opened a real-world location, Snake Oil Provisions offers an expertly curated selection of men's fashion. Self-described as a tour of the owners' closets, every shirt, shoe, accessory, and pair of denim is built to last and part of their own wardrobes. The Long Beach space is cozy but never cramped, giving you just enough selection without overwhelming you with unnecessary options. A must-shop for those that value timelessness over trends. Named after the term for ensuring that things are a chronological match, Period Correct is a clothing store that's perfectly suited to current times. Housed in a former Porsche parts store, their Costa Mesa flagship has racks holding the brand's USA-made tees, hats, jackets, and accessories, as well as a solid selection of magazines and vintage cars from the collection of company founder Bryan Calvero. 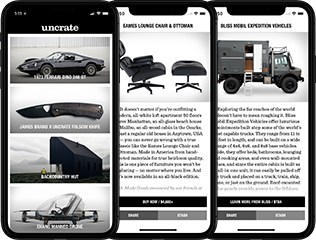 Whether you're looking for some new duds, some automotive reading material, or just want to talk cars, it's well worth the stop. Housed in a 1920s-era building, Highland Park Bowl continues the venue's history as a bowling alley while taking advantage of its rich history. During the year-long restoration and revamp, the current owners discovered a ton of unopened spirits from the 1970s that will help augment the cocktail program, while a wood-fired oven churns out Neapolitan-style pies. There's also a live music venue, named Mr. T's Room after the former longtime owner, and an eight lane bowling alley that's backdropped by a huge mural that dates back to the 1930s and exposes the vintage Brunswick pin machines to help tie the area to the rest of the space's retro-industrial setting.